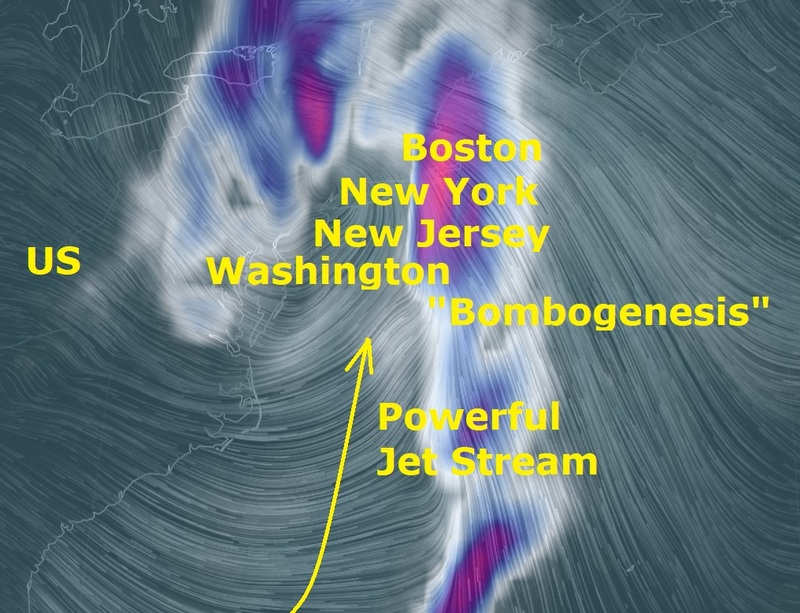 A "Bombogenesis" is expected to hit the East Coast of the US later today and into Monday. Damaging winds are expected to down trees and power lines resulting in power outages and flooding. The Bombogenesis, Weather bomb, or Explosive cyclogenesis refers to a rapidly deepening extratropical cyclonic low-pressure area according to Wikipedia. Throw in a very powerful jet stream into the into the mix which will be pushing tropical storm, Philippe, all the way up the Northeastern coastline and dumping moisture as the warm tropical air hits the cold air coming from the East. According to the Weather Channel, this is an unusual and truly strong, potentially dangerous storm system for late October. We expect to see wind gusts up to 75 mph in some areas, and they could be higher depending on the intensity and track of the storm. The potential for higher-end wind gusts will be greatest along the immediate coast and in higher-terrain locations, particularly in New England. High wind warnings have been issued for most of Long Island and much of New England including Boston for Sunday night and Monday morning. High wind warnings have also been posted for parts of east-central New York and near Lake Ontario.